FJM Security’s durable KeyGuard® is the perfect solution for anyone needing to store keys for their vehicle. Its large full metal body makes it very strong and secure while providing room for keys, key fobs, or other small items. And the built-in keypad cover keeps the keypad for accumulating dirt. If the lockbox will be exposed to the weather, we recommend the optional Protective Cover for $7.95. 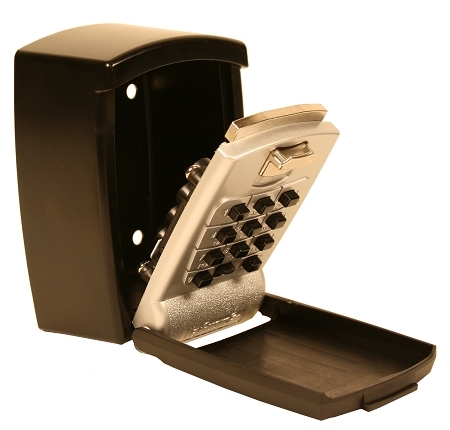 The large familiar phone keypad punch buttons on the front are easy to view and takes only a few seconds to access the key storage vault. Changing the combination is simple. 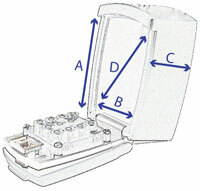 Access the back of face plate, select your combination and turn the yellow buttons to your desired combination. This KeyGuard Pro SL590 is a heavy duty steel yet portable locking key holder made with the same durable construction that car dealers have relied upon for years. 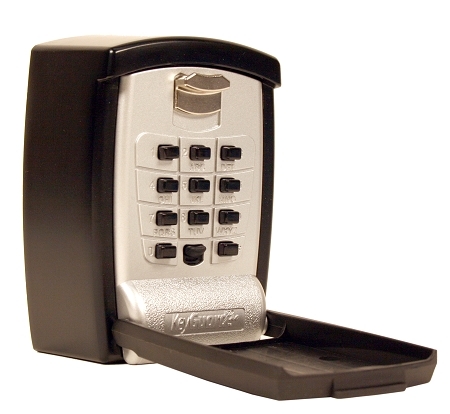 The KeyGuard Pro has a mechanical push-button lock -- which needs no batteries -- opens easily using a numeric and/or alpha code you choose yourself and can change any time you want. 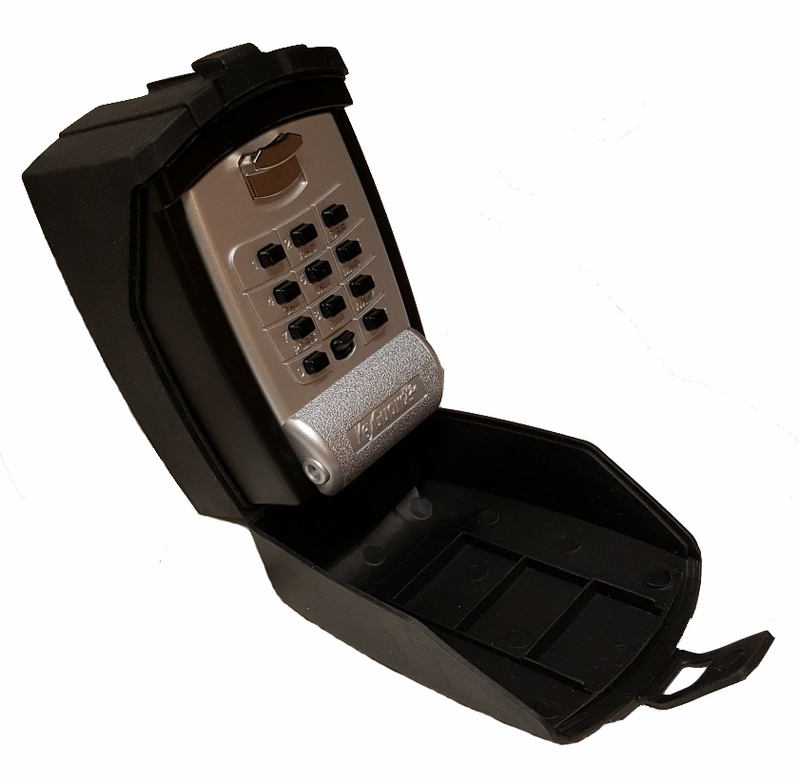 The KeyGuard Pro has an access door that is attached with a flexible "hinge" enabling the lock box to be opened and the key retrieved with one hand. 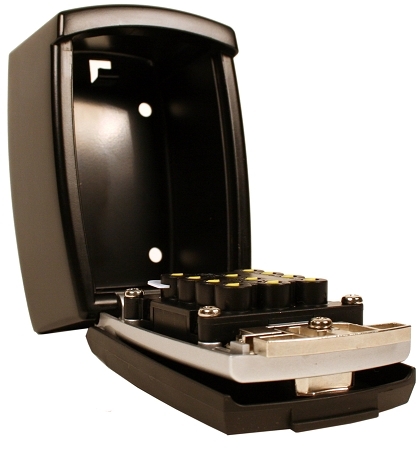 Add a protective cover: it keeps the faceplate clean if exposed to dirt or severe weather. The flexible black rubber cover (shown below) fits snugly but allows easy access $7.95.